When you first hear the words Pink Lemonade Tea, you might be curious as to what that tastes like; but this tea isn’t for drinking, it’s for soaking. Self-care is word that’s thrown around often these days but that doesn’t make it any less important. You need to take time to replenish, especially when others need you to be at your best. A pink lemonade tea for bathing might seem like a luxury you don’t have time for, but trust me, you’ll need to make the time. 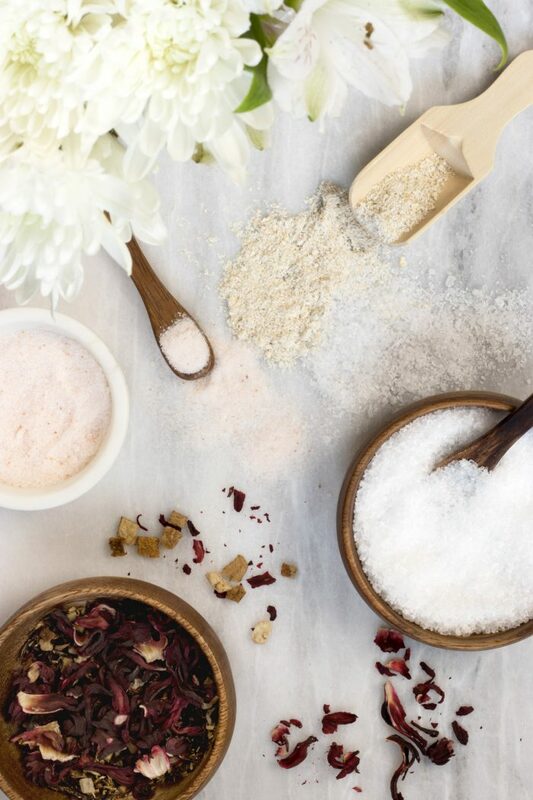 This bath soak isn’t just refreshing, it’s actually good for you and will help you feel your very best. The all-natural ingredients have been hand-selected because of their benefits for your skin. The included ingredients help with age spots, moisture levels, exfoliation, clogged pores, irritation, dryness, aching muscles, and more. The recipe is super simple and takes no time to put together. Once you’ve made up your tub soak tea, just add (bath) water! Want to know how to put it all together, check out the full DIY “recipe” at alifeadjacent.com.